The Hong Kong Maritime Museum is located at Pier 8 on Hong Kong Island – right next to Pier 7, which is the Star Ferry pier for service to Tsim Sha Tsui just across the harbour. Split over three levels, a tour of the museum begins with an exploration of China’s maritime history, with intricate models and explanations of the unique marine technology developed in China. Displays range from an explanation of junks through to information about Zheng He’s great exploration fleet. Continuing through the museum, the exhibits proceed to the era of colonial contact and the rapid rise of the port of Hong Kong under British control. 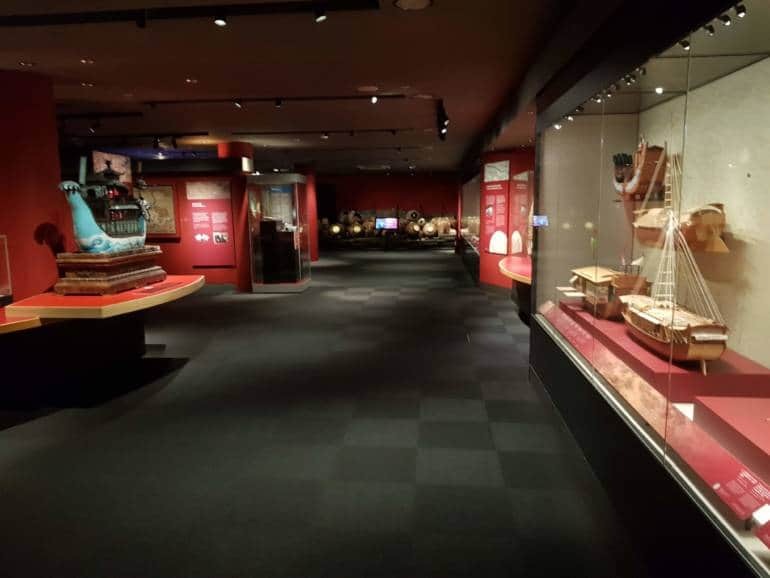 Finally, the museum looks at more modern maritime history including the vessels of some of Hong Kong’s giant shipping companies in the world economy. The third floor feature a slightly disorienting simulation of a being in the wheelhouse of an ocean going freighter sloshing around on the ocean swells. The third level of the pier has panoramic views of Victoria Harbour – hazy weather permitting. If you have an interest in boats or shipping and the role that it played in building the Hong Kong of today, then the museum will provide you with an hour or so enjoyment.